The majority of the construction has been concentrate on restoring the main part of the old town, which is pretty small compared to other polish cities, but still charming. The rest of the city has been left out of the historical rebuilding and have been rebuilt with Soviet and communist style of architecture which is, in my opinion, definitely one of the worst styles of architecture ever created by humans. 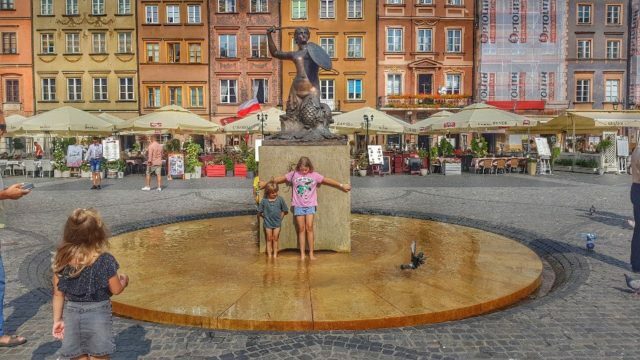 It is not surprising that Warsaw has never really been on the radar for tourists who have long prefered the charms of Krakow, and for a reason. 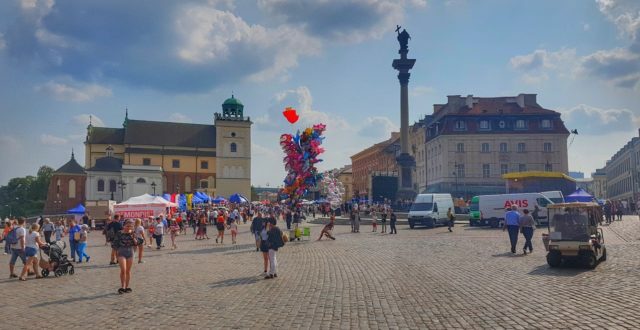 But slowly, with the rise of cheap airlines and the old town getting finished, Warsaw is starting to get its share of tourism and leave behind its reputation of a governemental city only. I have been several times to Warsaw in the past, usually just passing through as I never was really interested in visiting it thoroughly. But this time I decided to dig deeper into its history and tour around the museums and several tours around the city that were available: The Old City Tour, The Jewish Tour, the Soviet Tour, and so on. I recommended them all, but especially the Jewish Quarter tour. In fact, few would actually know how important the Jewish community has played in the history of Warsaw through the centuries! Once an eldorado for European Jewish who were being persecuted and deported from countries all over Europe, Warsaw became the “go to” destination for many of them, making Warsaw the most Jewish in the world, with over 33% of the population before the world war 2. Nowadays, this propotion decreased to nearly zero for events we all know. But Going back into the details and walking around the Jewish Ghetto of Warsaw with maps of how is was, versus what it now is, is an amazing experience and highly recommended. 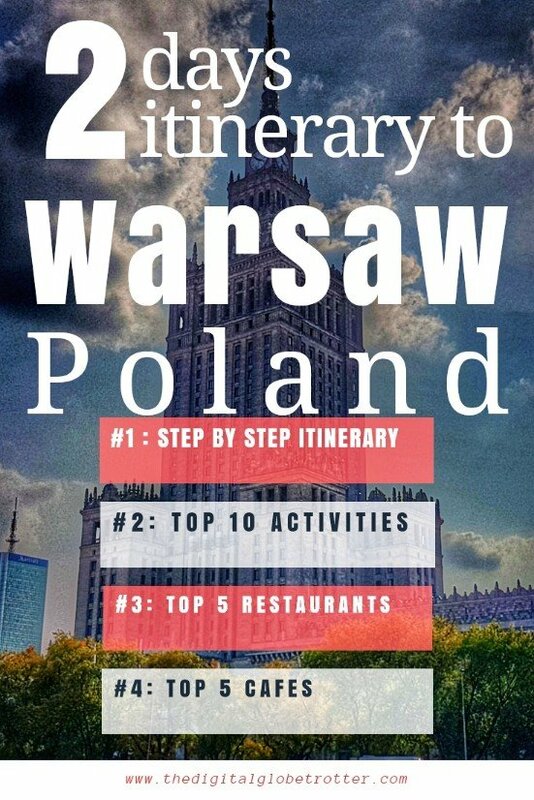 Something that should be mandatory for every visit to Warsaw. Start your day with breakfast along Furmanska Street which hosts tons of terrace cafes and a more modern look at the busiest street of new Warsaw. Continue towards the Castle Square which is a massive area where Warsaw sees most of its life. Next, stroll around the new streets of the old town, having been rebuilt after 98% of its buildings had been destroyed after WW2. 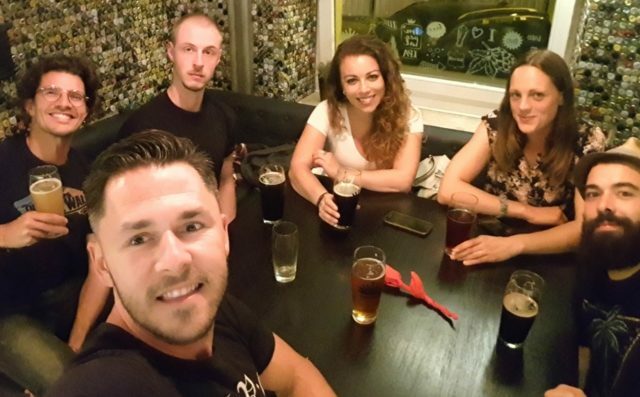 Continue to the Rynok Starego Miasta Warszawa square to sample one of its restaurants and continue towards the Old Town Observation Terrace to have a great look of the surroundings. 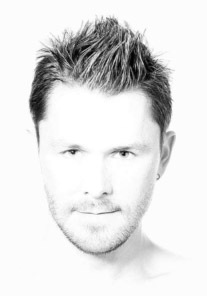 In the afternoon, it’s is time to face a bit of history of Warsaw as the dramatic events during World War 2. 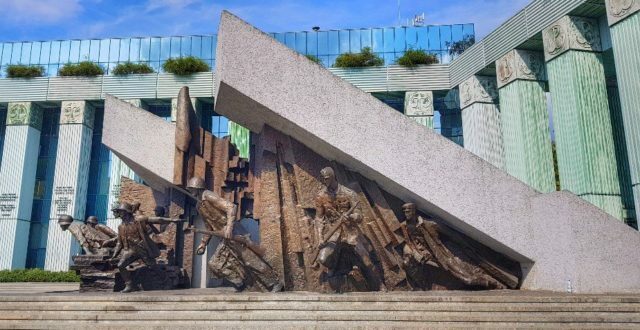 Visit the Monument to the Warsaw Uprising Fighters and the Warsaw Uprising Museum where you will get more information about the events that played an important role in Warsaw’s destiny. The next highlight is the POLIN Museum of the History of Polish Jews, voted as the best museum in Europe a few years back. 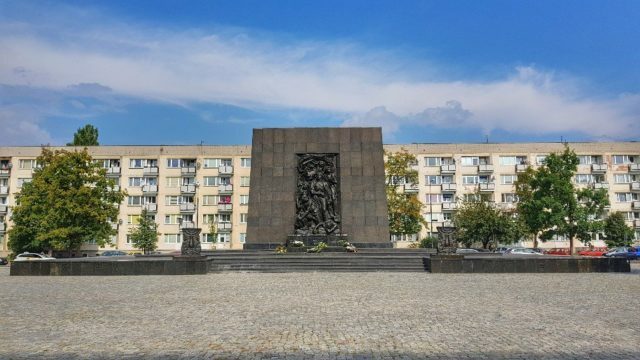 If you want more information about the Jewish Ghetto, I recommend taking part in one of the Free tours about Jewish Warsaw, which explains in depth the tragic events during a 2-hour walk. 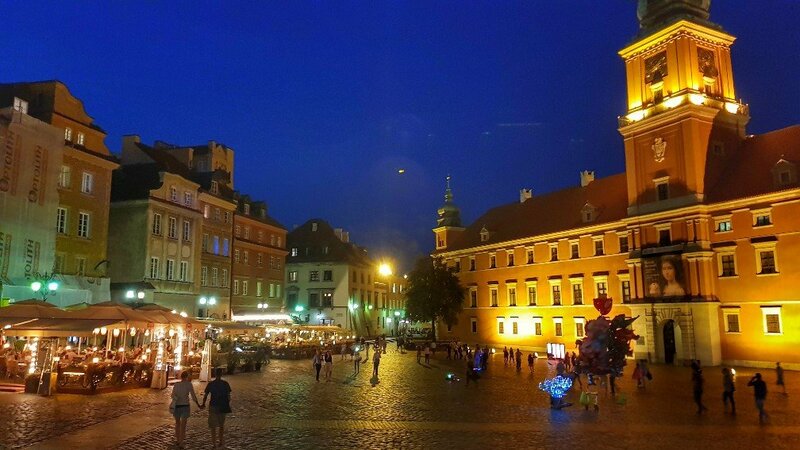 In the evening, enjoy a restaurant around the Old Town Market Square and test some polish craft beers in a local bar. 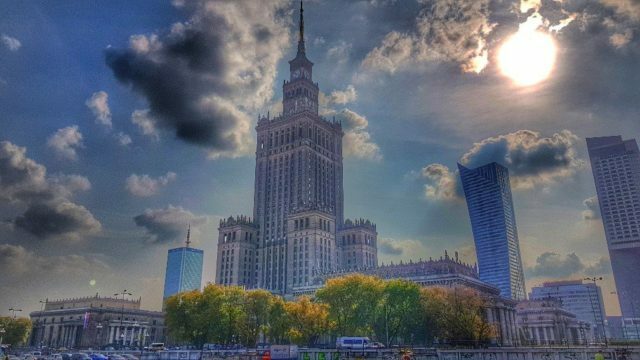 On day two, head towards Poland’s highest tower, the communist-era Palace of Culture and Science. 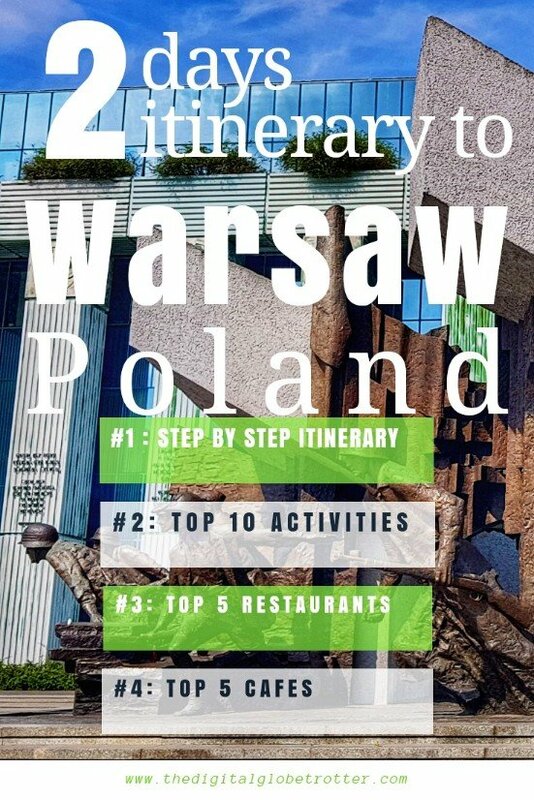 Here you can visit several museums and expositions, as well as go all the way up to have a panoramic view of Warsaw. From there, it is an easy walk to the new area of town, around Chmielna Street. Pay a visit to the Frederic Chopin Museum, the most famous Polish Musician and pride of the city where even public benches play Chopin music. In the evening, try to catch one of the many Chopin Concerts around town, a sort of tourist attraction which can make a great evening activity. 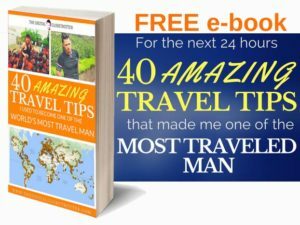 Tagged backpacker, backpacking, budgettraveller, digitallifestyle, digitalnomads, europe, nomad, Poland, remotework, solotravel, travel, WW2.